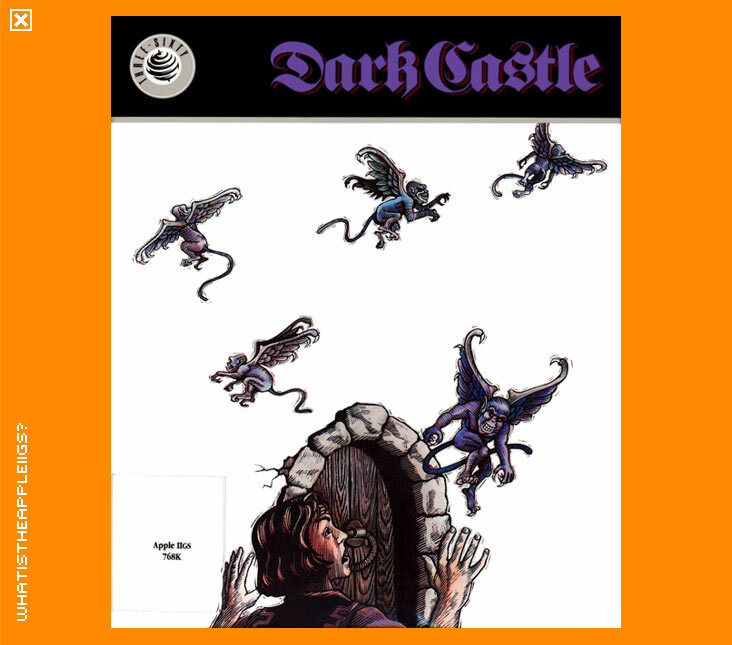 Dark Castle was originally created for the Macintosh in black and white in 1986. Some years later an Amiga version appeared and later still the IIGS version arrived, being released in 1989 by Three Sixty. Dark Castle is an action adventure game where both the mouse and keyboard are used to achieve control. Keyboard configuration will allow use of a customised key set-up. The Keyboard is used to move your character around, run, jump etc. 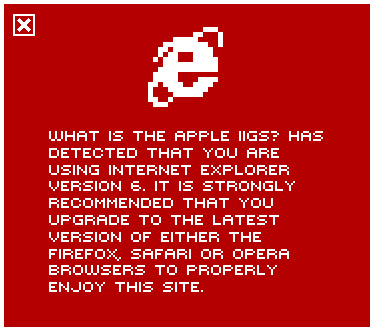 while the mouse is used for aiming and throwing stones to knock out your enemies. You'll also interact with certain objects in the surrounding environment to overcome your obstacles. A slightly more complicated way of interaction back in the 80s but one that is now commonplace by way of keyboard and mouse combinations with today's first person shooter games. Dark Castle is not an easy game and at times can become very frustrating (landing back at the start after a fall becomes a hair pulling exercise). Luckily, there is a practice mode to familiarise and practice each level. Attempting each level in the right order is important too - you only need to play the 'Trouble' levels if you have fallen from the Dark Knight levels and need to get back to Great Hall just to have another stab at the Dark Knight! The IIGS version was programmed by veteran Lane Roath (one of the founding members of id Software) and played well (and runs from System 6 without a hitch). The graphics and sound are pretty good.